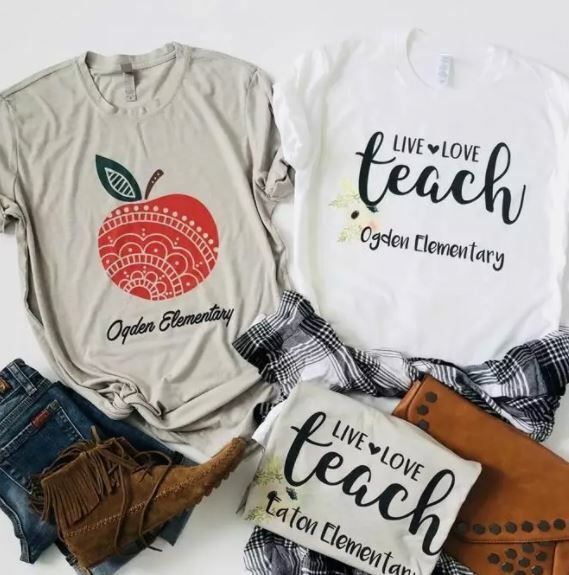 LOVE these Custom Teacher Shirts on sale for $13.99 (Retail $28). -Show your love for teaching and school spirit with one of our Custom Teacher Shirts! -Comfy tri-blend with direct to fabric print for a soft finish that won’t crack or peel! -Customize with a school name or grade up to 25 characters. Please check spelling carefully before submitting your order as we will print it exactly as it is entered. If you would like it to say, Live, Love, Teach only, please put N/A on the personalization line. These would also make a great end of the year gift!